Hypnosis Insurance Kentucky. Hypnosis is the application of hypnotic techniques with the aim of altering behavior patterns. In this treatment, a hypnotist will induce the patient into a state of deep relaxation. Hypnosis can help treat mental disorders as well as other conditions like asthma, chronic pain and high blood pressure. No matter how well you're trained as a hypnotist or how good your client relationships are, injury, malpractice and other claims can still happen. Yes, even to you. Hypnosis insurance Kentucky protects you against such claims. 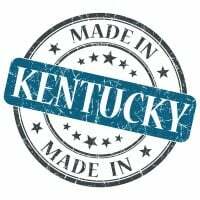 Hypnosis insurance Kentucky protects your practice from lawsuits with rates as low as $27/mo. Get a fast quote and your certificate of insurance now. The most important kind of Hypnosis insurance Kentucky insurance is professional liability. Coverage - This hypnosis insurance Kentucky policy covers any legal liability arising out of errors, omissions or negligence of hypnotists while rendering their services, which causes injury to a third party or damage to third party property. Group Hypnotist Policies - Group hypnosis insurance Kentucky policies are also available for professional indemnity coverage. In this case you will be covered alongside other KY professionals in this field. A discount of premium is also applicable as per the number of members added under the group policy. As with any insurance, the best time to buy a hypnosis insurance Kentucky policy is before the risk is taken. Keep in mind that most KY hypnotist professional liability policies require that you have a policy both when the claimed work is done and when the claim is filed. The cost of KY hypnosis insurance is dependent upon many factors such as revenue, state of practice, loss history, number of agents, etc. A quote cannot be provided without an application and a submission, but compared to the covered risks it is inexpensive. Request a free Hypnosis Insurance Kentucky quote in Alexandria, Ashland, Barbourville, Bardstown, Beaver Dam, Bellevue, Benton, Berea, Bowling Green, Brandenburg, Cadiz, Calvert, Campbellsville, Carrollton, Central, Cold Spring, Columbia, Corbin, Covington, Crescent Springs, Crestview Hills, Crestwood, Crittenden, Cynthiana, Danville, Dawson Springs, Dayton, Douglass Hills, Eddyville, Edgewood, Elizabethtown, Elsmere, Eminence, Erlanger, Flatwoods, Flemingsburg, Florence, Fort Mitchell, Fort Thomas, Fort Wright, Frankfort, Franklin, Georgetown, Glasgow, Graymoor-Devondale, Grayson, Greenville, Harrodsburg, Hartford, Hazard, Henderson, Highland Heights, Hillview, Hodgenville, Hopkinsville, Hurstbourne, Independence, Indian Hills, Irvine, Jeffersontown, La Grange, Lakeside Park, Lancaster, Lawrenceburg, Lebanon, Leitchfield, Lexington-Fayette, London, Louisville, Ludlow, Lyndon, Madisonville, Marion, Mayfield, Maysville, Middlesborough, Middletown, Monticello, Morehead, Morganfield, Mount Sterling, Mount Washington, Murray, Newport, Nicholasville, Oak Grove, Owensboro, Paducah, Paintsville, Paris, Park Hills, Pikeville, Prestonsburg, Princeton, Prospect, Providence, Radcliff, Richmond, Russell, Russellville, Scottsville, Shelbyville, Shepherdsville, Shively, Simpsonville, Somerset, Southgate, Springfield, St. Matthews, Stanford, Stanton, Taylor Mill, Union, Versailles, Villa Hills, Vine Grove, Walton, West Liberty, Wilder, Williamsburg, Williamstown, Wilmore, Winchester and all other cities in KY - The Bluegrass State.